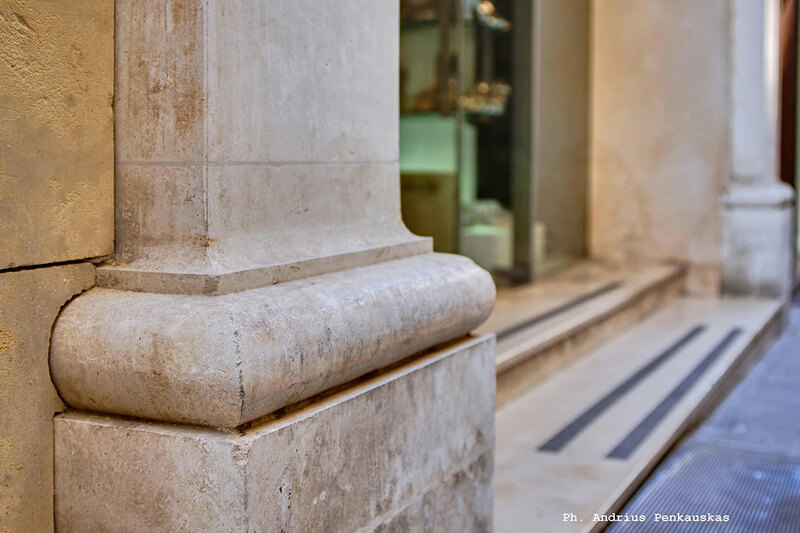 The shop front in travertine brings together clean lines and simplified classical elements. 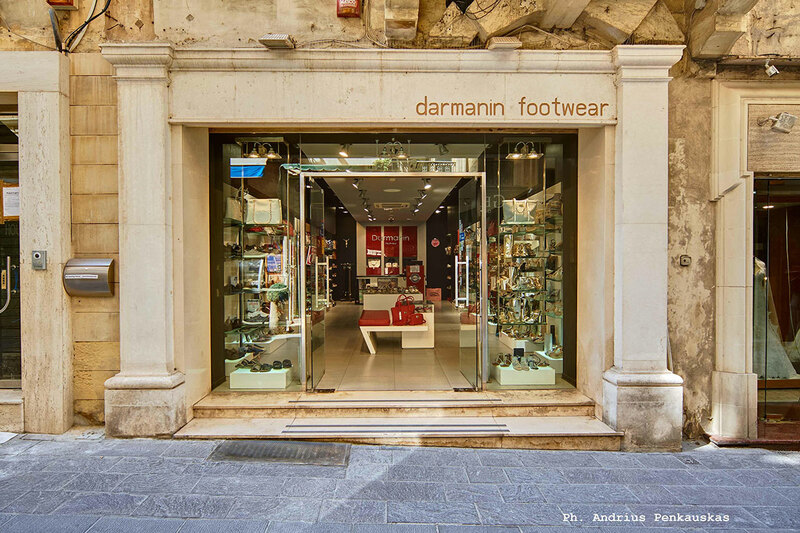 The material itself integrates well with the built fabric, contributing to the overall clean image of the shop’s front. 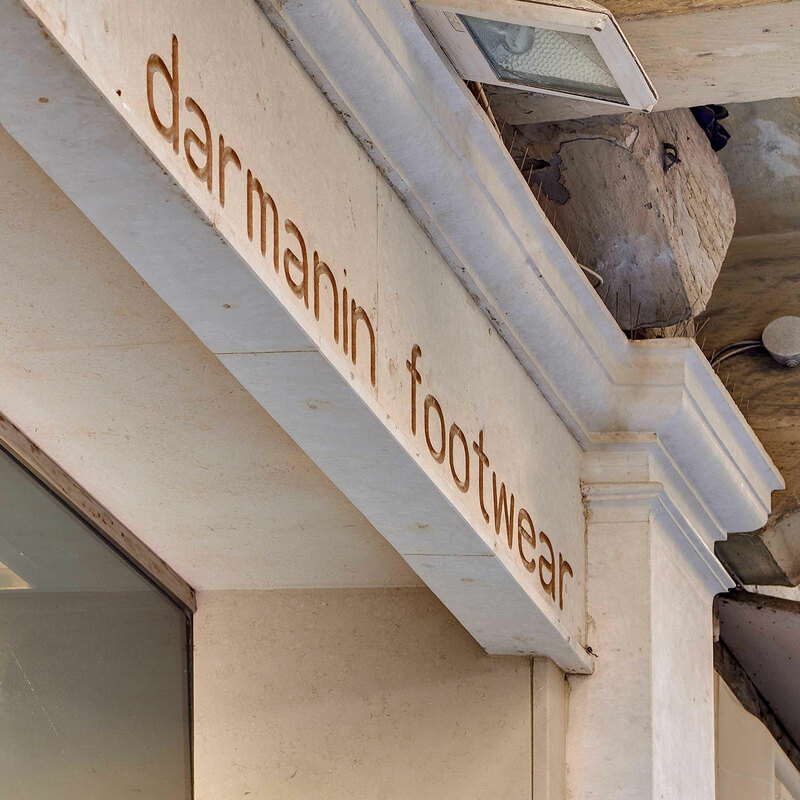 Text, being debossed and earth brown colour, attributes the simple yet posh image the brand seeks to convey.